University of California, Berkeley, students will be able to seize a rare opportunity to earn credits by scrutinizing K-pop sensation BTS. 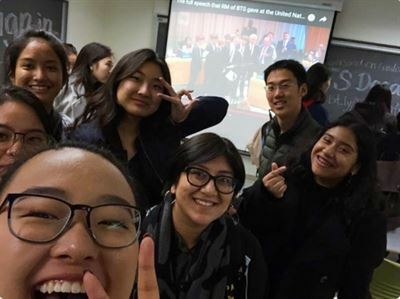 "Next Generation Leaders: BTS," a two-credit course that centers on the global influence of the seven-piece team, will be offered in this year's spring semester. Two ARMYs, followers of the band, launched the student-run course as a means to "create a space to analyze the BTS phenomenon." It is a part of Berkeley's "DeCal" program, in which students share their knowledge by designing a course by themselves. Students who enrolled in the course meet on orientation day. 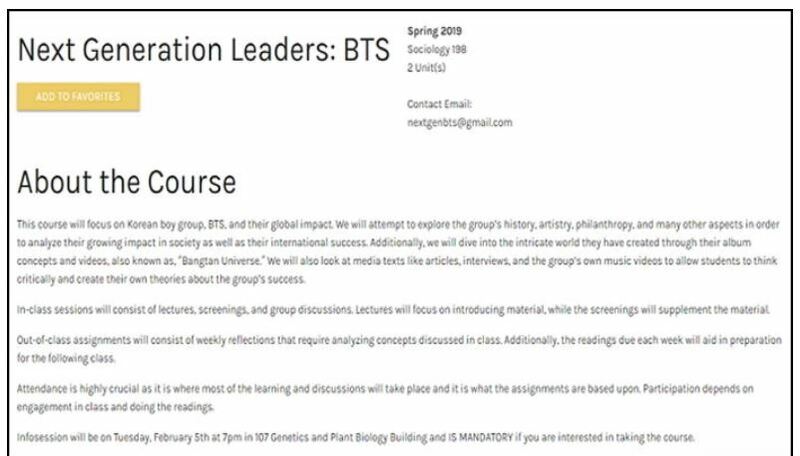 Capture from Twitter of "NextGenBTS"
The course will attempt to "explore the group's history, artistry, philanthropy, and many other aspects in order to analyze their growing impact in society as well as their international success," according to the course description on the school's website. It is comprised of in-class and out-of-class assignments and, as of Friday, is already full. Meanwhile, BTS will appear as one of the presenters at the 61st Grammy Awards on Sunday (local time.) Band members also have been tuning up for their comeback.